Guest Post via @doctor_harves: Is Bigger Always Better? 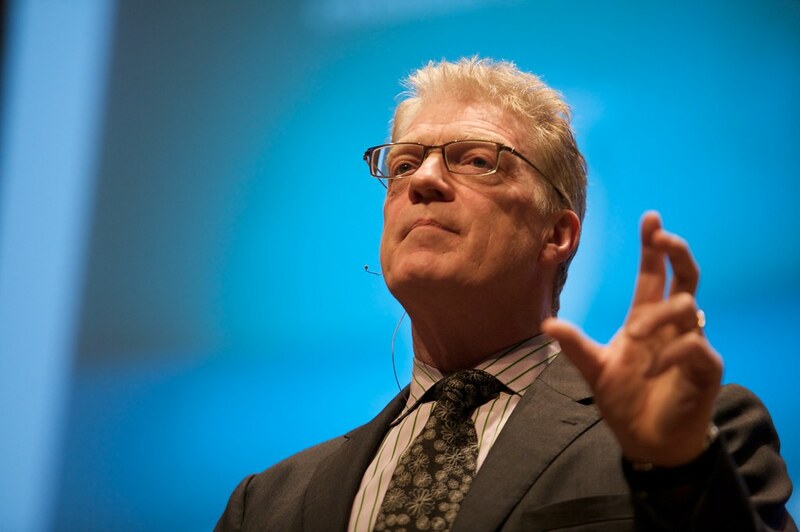 One of the common mantras from educational speakers like Sir Ken Robinson is that schools don’t change. That schools are stuck in some dystopian nightmare of a Dickenesque factory which is not keeping up with the demands of the 21st century. It is true that many things may have remained the same in education but one thing that is new is the amount of data that is being produced in classrooms. We now obsess about data, from providing evidence of learning that has occurred in a classroom to how our countries stack up in the international PISA rankings. This data has divided educationalists. In one group lies those who believe that making student performance data accessible leads to teacher accountability and an evidence-based teaching allowing improved outcomes for learners. Others reject the use of such data as an overly simplistic approach and not a true reflection of the complexities associated with teaching and learning. They argue that the numbers are often based on basic statistics and analysis of the data, rather than accepting that learning is a human endeavor and emotions also drive learning not just numbers. For advocates, the collecting, analyzing, storing, and communicating of massive amounts of data about schools, teachers, and students is important to monitor progress and see where improvements can be made. This information is known as “big data”, Big data represents data characterized by such a high volume, velocity, and variety to require specific technology and analytical methods for its transformation into value. Big data has been in the news recently with Cambridge Analytica, a U.K.-based political data analytics firm, illicitly procured the data of 50 million Facebook users, without their knowledge or consent and then enlisted that to inform voter-targeting strategies for Donald Trump’s presidential campaign. That was possible because of Facebook’s then relatively lax privacy protocols. Just as with the Facebook example, despite the access to large amounts of data, how we use the data is the critical point. There are clear limits on how Big data has been used in reforming education. In fact, policymakers often forget that Big data, at best, only reveals correlations between variables in education, not causality. As any high school student of statistics will tell you, correlation does not imply causation. This is illustrated by the global OECD’s Program for International Student Assessment (PISA) results which is one of best-known examples of Big data in education. PISA measures reading, mathematical, and scientific literacy of 15-year-olds around the world. The data from PISA suggests that student attainment is higher in more equitable education systems. What we need to keep in mind is that this statement expresses that student attainment (quality) and equity (strength of the relationship between student attainment and personal or social circumstances such as gender, income, ethnic origin or family background) happens at the same time. It doesn’t mean, however, that one variable would cause the other. Correlation is a valuable part of the evidence in education policy-making but it must be proved to be real and then all possible causative relationships must be carefully explored. So then with this in mind, are changes based on Big data really improving teaching and learning in schools and classrooms? In education, this is what’s going on behind classroom doors and across the school. This is where Small data such as observations of students’ behavior and social interactions, and the assessment of their emotional well-being can help. These Small data points are often hidden in schools. Understanding this these Small human interactions must become a priority for improving education. Clearly, we need to be paying attention to more than big data in the classroom. This means that tracking and managing small data is no longer simply a “nice-to-have” capability; it is a “must-have” to create a classroom culture and a school culture that is truly conducive to learning. There is no one right way to gather small data in education. However, it is important to realize the limitations of the current Big data-driven policies and practices. Too strong reliance on externally collected data may be misleading in policy-making. Easing the process of data collection and a using a consistent system of recognizing both positive and negative student behavior with clear guidelines can help establish better balance and uniformity across Small data. Schools need to acknowledge and understand the important role that Small data can play in student learning and communicate this to everyone involved in education. So what does Small data look like in practice? To begin with, it would reduce the number of national assessments required and the time and resources that are saved could be used to enhance the quality of formative assessment in the classroom. Formative and portfolio-based assessments are much more likely to improve the quality of student outcomes than conventional standardized tests. Teachers would be given more autonomy and independence from paperwork and meeting assessment deadlines and instead could invest in collaboration of best practice between and in schools, developing connections between educators and enhance student learning. There are many ways students can show learning in schools, so there is no one way of measuring student achievement that will reveal success. Students’ voices about their own growth may be those tiny clues that can uncover important trends in improving learning. In conclusion, Big data has certainly proved useful in driving global educational reform by informing us about correlations that have occurred in the past. But to improve teaching and learning, we need to focus on the present and those causations present in diversity and beauty that exists our everyday classroom interactions – Small data. A good education should be based on the collective human judgment that is supported by a plethora of evidence a combination of both quantitative and qualitative. If we don’t start leading through Small data we might find out soon enough that we are being led by Big data and the spurious correlations that it generates and the hole in student success that Big data simply can’t fill.